We do appreciate your team’s professionalism, effectiveness, and efficient work. The grounds look great! Blade Runners’ mowing and pruning crews always do an outstanding job. Thanks, Shannon and team for the hard work. A shout-out to Blade Runners again this year! They completed my personal spring cleaning today…HUGE shout-out! It looks amazing to me and I am thankful for them. From a grateful customer in Hillside Ridge Homeowners Association, Sarah S.
Thank you for your interest in the Department of Conservation and Recreation’s Green & Clean Initiative! Your company has been approved for participation in the Initiative and is now accredited by the Commonwealth of Virginia. On behalf of the DCR, we thank you for your voluntary efforts to protect the environment and helping us to meet Virginia’s water quality goals. I’m writing on behalf of a collection of residents and parents at/near the Oakton Elementary School. We want to extend our appreciation for your donation of services to keep Oakton Elementary school grounds looking great. Supporting public education is a terrific show of support for an important element of the community–public schools–especially one on a busy road. Making a school “look” good is the visual support that conveys caring and respect for the teachers, administrators, and students–a foundational element for a productive and energetic learning environment. Please let your team know we appreciate the excellent service that is provided–it shows that the Blade Runners team members care about schools and the community. Thank you again for your support of public schools and the community in general. On behalf of the HOA, we want to say a huge thank you to the Blade-Runner crew and site manager, Gerson, for transforming our community just in time for spring! We were impressed by the crew’s overall quality of work and professionalism, especially their steady pace, attention to detail, and a clean neat site. We got positive comments from several homeowners. The great welcome to working with you is appreciated. Just wanted to pass this along, as I know in this business, too often the only time emails are sent are when there are issues or problems or concerns. As a manager, I try to make sure I pass along “good emails” to vendors as well. On June 4, a commercial customer of Blade Runners, Prince William County Center Owners Association, held a Kids Community Party, near the swimming pool of their complex. The event included a moon bounce, DJ dance competitions, arts and crafts, and temporary tatoos. Blade Runners sponsored a KONA Tropical Shaved Ice truck–dispensing free shaved ice to everyone throughout the event. The Police were present at the party, allowing the kids to sit in the driver’s seat of the cruiser, flash the lights, work the sirens and horns, and speak on the loud speaker. After each child had their opportunity in the police cruiser, the officers gathered the children together to speak about the importance of safety in their lives. Blade Runners’ account manager for Prince William County Center, Karen Baer, was in attendance at the party. Several HOA board members and unit owners personally thanked her and Blade Runners for sponsoring the shaved ice truck and for having great community spirit. A very good time was had by all!! You and your crew have done a fantastic job — very professional and you certainly did not rush through your work. We are very pleased. I would like to pass along a compliment to all the Blade Runners workers who performed the edging, mulching and clean up service for Forest Hills of Fairfax Community on Wednesday, March 16, 2016. The quality of work was excellent. The edging and mulching look really good and all areas in the community were serviced. Their work made a major improvement in the appearance of the community. Your team of workers are exceptional and they do a great job for Blessed Sacrament Church. Thanks very much. Wanted to let you know the Mt. Woodley community is looking GREAT thanks to your crew! Nice job on cutting back the nandena and lirropa. Fresh mulch got put down on Friday and the huge bushes at the front entryway are cut way back and appear to be growing back nicely. Just need to keep them at this reasonable size/height. Thanks again to you and the crew for making sure our requirements were met and having done so in a timely fashion. Danbury Forest HOA thanks Blade Runners for Job Well Done! “I would like to thank you so very much for all of the time, effort, and support you especially have given us over the years and I hope we can continue the partnership onward. Blade Runners has truly helped Danbury Forest thrive and be a beautiful place to call home! I just received my second “task posting” marked complete for the yard work done yesterday. This is GREAT! No more guessing as to what was done and when. Many thanks for the notification and keep the postings coming!!! Thank you for the extra effort you and your workers took to make the landscaping at Forest Hills of Fairfax Community look really good for the Fun Run fund raiser for the Fairfax County Park Authority held in the community common area on 7 June 2014. The community looked the best ever. The Chairman of the Fairfax County Board of Supervisors and numerous other participants in the fun run commented on how good the community looked. Please pass the thank you along to the workers who were here on 6 June and performed the hands on work. I’m sure you appreciate hearing when you do a GREAT job, too! I do appreciate your efforts this past year and indulging the board members by hearing their concerns and addressing them. This goes a long way in keeping them happy customers. That is one area that I think B.R. excels at – you and your staff are always willing to give your time and attention to the customer and quickly respond to their concerns. It is a pleasure doing business with you. you, but decided an email to both of you would be better. are doing a very good job. They certainly are good employees for your firm. 1st Choice Park, 8300 Arlington Blvd. Blade Runners was pleased to hear from Ross Davis, General Manager, Courtyard Marriott Fairfax Fair Oaks. He commented patrons loved the Curb Appeal of the property. Additionally, Regional Marriott management were very complementary and thought the property looked great. Always a pleasure for Blade Runners to do business with clients who demand quality grounds maintenance. President of Cedar Grove Fairfax Praises Work Ethics of Grounds Maintenance Service. I am the president of the home owners association at Cedar Grove in Fairfax and I wanted to pass on to you the fact that we have been very pleased with the work ethic that we have seen so far. This is true in particular with Mike Dollard. There have been a few times when there have been glitches in one thing or another, I do understand that sometimes things can go wrong but what is important is the manner in which they are resolved. There has not been a time so far that Mike has not moved very quickly to resolve any problems we have had. This hasn’t been our experience in the past and it speaks volumes about we can rely on the service we now have. Mike has always responded to any of our inquiries in a timely and efficient way. We are grateful to have him as our point of contact with Blade-Runners. As things stand at the moment we look forward to having your services in our future. over and above several times to help our residents. I’ve copied the President of Blade-Runners and again, thank you. Please let me know when the repairs are completed. I just wanted to praise the efforts of Rosa, who answered my inquiry regarding weed control spraying occurring in my HOA community of Beauregard Manor. I have young children and pets, so I called the number on the sign placed in our community notifying us of the application and left a couple detailed messages with our account manager. Since it was a Friday, I was concerned when I did not receive a call back after leaving a morning and afternoon messages with our account person, Raoul Chavez. So, I called the main line. Rosa was apologetic and fantastic- even tracking down the person who knew more information on the application used. I just want to be sure and let you know when one of your employees does right. Thank you to Rosa! I tried to mention this to Raoul, but for some reason, our phone call connection ended abruptly. Thank you! Seminary Walk thrilled with HOA landscaping! I just want to thank you. I have never seen the property looking so nice. This morning a resident in 206 happily shared his opinion of the courtyard near my office. He said “I have never seen the courtyard in all the years I have lived here, looking as good as it does now.” I thanked him for saying so and told him that Bladerunners are our new landscapers. He said he had already known Bladerunners Inc. because his brother was in the business also. I have introduced my self to your crew chief (Rodas I believe?) and some of the other guys. Eric, I want you know how impressed I am with their work so far. I am also excited to see the subtle but important care the guys take in their work i.e., shaving-off and or removing the old mulch “humps” that have accumulated over the years, the perfectly cut mulch beds and the quality of the mulch in general. Great work, keep the foot on the gas. I love it. We have been very happy with the Bladerunner’s snow removal service (and all of their service for that matter). They are always rapid to clear the road during any storm. We never seem to wait for them to show up and I can’t think of any time in the last 8 years that I have lived here where I have felt stranded because they haven’t started to plow. One of the great services they offer is to send email notifications before, during, and after a snow event telling you their plan and giving you the opportunity to decline or add services (examples attached). The Board gets the notices and then we post them to our website, or you can forward it to the cluster (I would remove the bladerunners contact info so you don’t have a bunch of homeowner’s contacting them directly). When there is a snow event it seems everyone at Bladerunners is committed to it, right down to the President as most of the notices come from him. One of the “extra services” that we have to add from time to time is for a front end loader to remove the snow piled up in the 14 visitor spaces or the mounds of snow from large accumulations. The basic service only covers a plow coming through and pushing the snow into piles. If there is a 6+ inch event, there is only so many places you can push snow before it begins to block edges of the roadway, corners, and general parking areas. The only way to get these areas cleared is with a front end loader and smaller Bobcats. When you order this service there is an extra fee which is by the hour but worth it. There are really never any complaints about their service. One year someone that lives on a corner complained that when the truck came by there was too much left in front of her driveway versus getting right up to the curb. She lives on a corner that is hard to get and since then they always get closer to her driveway. She complains about everything and hasn’t complained about this in the past 3 years so that is a good sign. Also the Magic Salt does appear to work as the road is never slippery. I am sure you can find cheaper alternatives; however, I don’t think you will find anyone as thorough, reliable, and RAPID. The last thing I would want to do is change services and then find out 12 hours into a snowstorm that they don’t do snow removal anymore, or their ONE truck has broken down. Good luck in your search! Legum & Norman Praises Blade Runners Landscape for their “Going Green” Efforts. Glad you mentioned BladeRunners. They are included in our landscaping bidding process. How is your experience with them? They do a good job and very knowledgeable in the field. 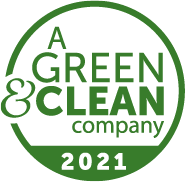 I would definitely consider them if your Board is looking for a landscaping company concentrating on going green, in regards to the environment. BladeRunner are on the cutting edge on this movement. Even their grounds men are wearing blue shirts with the “going green logo” so in short they have my endorsement. I have thoroughly appreciated Blade Runner’s service to our community, both in landscaping and snow removal. Your customer service has been impeccable and consistent. As an example, last week I was pruning my next door neighbor’s front yard tree for her. One of your crews arrived to perform a mowing and before I had to ask, one of your men came over to me and asked me to pile the branches in the street so that they could remove them. That is customer service. Thanks again for the great work you do to keep Oak Manor looking well-maintained. Your e-mail notifications are among the Blade Runners features I most treasure, after you, Mike, Raul and our several crews. Your e-mail notices help me monitor our contract, and I want them to continue to enter my mailbox. Previously, Elaine Ely was my colleague on the Grounds Committee, but she quit a few years ago, so she does not need to receive your notices anymore. I think I asked Raul to cancel e-mails to her sometime last year, and it appeared that had happened. So if you can pick up from there, that would be good. Otherwise, leave me on your list and delete Elaine. She still cares, but she has chosen not to be involved on the “responsible” level, so she should be off the list. I also hope you got your billing situation straightened out. For the first three 2011 payments, you billed Sycamore Ridge Condo Association at the 2010 rate. We have since paid the arrearage, so I hope billing is now on track too. Not that it matters, but I got two of the appended e-mails from you. Identical. I just thought you’d want to know. I know first-hand from my own career that quality service delivery doesn’t “just happen.” It takes a lot of hands-on supervision and attention to details. We appreciate very much the successful efforts your company is making to keep our neighbor looking first class. BTW, we are having our first social event of the season this Sunday starting at 5 PM. It is a very informal wine party at the gazebo with some snacks. I don’t want to impose on your weekend, but if you and/or Mike want to stop by with your wives and meet some of our residents then you are most welcome to do so. The guys who will here to clean up, weed and mulch did a wonderful job. I am amazed how many people called and complimented the work. I am excited that this property will finally start looking it’s best. Duke Street HOA of Alexandria is Happy with Lawn Care Service from Blade Runners! I just wanted to tell you that Duke Street is extremely happy with the service that your company provides. They are always very complimentary and it has been a great move for the community. My term as a trustee at the church has ended and I’m off to a different committee. I want to thank you two, your crew foremen and employees (both on the grounds and in the office) for the great work you’ve done on behalf of our church this year. Your grounds crew has been diligent, careful and thorough. You two and your office personnel have been patient and responsive to all our questions and needs. The most frequent thing I’ve heard this year is “the grounds have never looked better.” To many, this is holy ground and your crews have treated it as such. Your L2 crew, led by Carlos, did an outstanding job today at Sycamore Ridge Condominium Association in Arlington. They were fast, hard-working and thorough. I’m delighted with the results and hope you will assign L2 here again in the future. Carlos really knows our property now, and he avoids all the pitfalls while doing the work that needs to be done. I’m very grateful. I wanted to let you know that at the board meeting Thursday night, a few of the directors said that they and other residents had noticed what a great job the crew did recently on a couple of services. 1) They wanted to compliment the shrub shearing, especially the meticulous clean-up. I even saw no traces of missed clippings as I walked to work on Friday. 2) Second, they complimented the look of the leaf mulch. It stays in place better and is thinner for less build up. We would like to go with that at each mulching if possible. 3) They mentioned the general appearance of the neighborhood as excellent. We had some die-hard believers in our previous service, but even they are saying they are very pleased with the overall appearance of the grounds. Thanks so much for making us look good! I wanted to thank you for your service. So far, the landscape looks wonderful and the guys are very fast at responding to my calls and emails. Sometimes it’s scary how fast they respond! I will call them, and literally 10 minutes their in my office assisting me. I do hope the guys keep up the hard-work. You folks have done excellent work, both for the Association and for me personally (my back yard is beautiful!). Thank you Eric for the direct line phone numbers. Yes they will be very helpful. I want you to know that I again received some wonderful comments about the lush green beautiful lawn we now have at our Falls Church, Church of Christ. I tell them that Blade-Runners deserves all the credit (pats on the back) for the excellent condition of our property. So many cudo’s Blade-Runners folks. This is the sort of thing that shows you a different from our previous company! Look at this before and after picture of the roadway after a routine mowing. Our old company would have just left this mess in the street. Williamsburg Pond HOA in Falls Church is happy with the work Blade Runners Grounds Maintenance Performed! As you know, we had our annual perimeter cleanup yesterday. I want to take this opportunity to commend the work of Carlos and Jose. They are both excellent representatives for your company; they worked hard ,efficiently and professionally. They were open to my requests and offered helpful suggestions regarding the property. This was my first cleanup working with BR and I couldn’t have asked for a better experience. I thank you for sending these two gentlemen to work with me on this project. On another subject, the mowing crew that cuts and trims our lawns is just as professional and excellent; Williamsburg Pond is very fortunate to have the services of all your outstanding employees. For the homeowners of Williamsburg Pond, I thank you. Dave Shelby Of Vienna was pleased with the drainage job performed by the crew of Blade Runners Landscape! Your team did a beautiful landscaping job at our home a few weeks ago. Leveling off our side yard with top quality soil, moving our side roof drains underground and the additional work at our home has improved drainage and made our property look much better. Carlos and his crew were very tidy and worked hard to accomplish in one day what would have taken me a month of Saturdays working dawn to dusk. Well done Blade Runners!. You have served us well on this project and also several others times over the years. Shelly, my back yard was mowed yesterday and they did a fantastic job, particularly since it was so tall! And the mower blade was sharp so it was a clean cut. Thank you for coordinating, and please pass along thanks to the “guys” for a job well done. Have a wonderful week-end, GPagin, Edgemoore, Darnley Place. In all of my years of managing this building, as a sideline to my real job of supporting the CFO, I have never seen a more detailed and more perfect spring cleanup. The property looks better than it ever has. The diligence of the workers and their supervisor was astounding. I reluctantly made a small suggestion to them about tossing the rocks that had moved away from their beds adjoining the building, and they were instantly responsive. I did tell them I was not sure I should be telling them what to do (leftover from Links Pond policies), but they were most willing, and I told their supervisor as he checked up on their work. All over the property they explored places and piles of debris that had never been touched! So congratulations to all. I am so glad you are in our corner.